Located on the Georgia/South Carolina border, the city of Augusta, GA lies on the Savannah River. The Augusta metro is home to approximately 580,000 residents in seven counties. The City of Augusta is the center point of the region. Within 60 miles of downtown, the population surpasses more than 1 million residents and includes both Georgia and South Carolina. 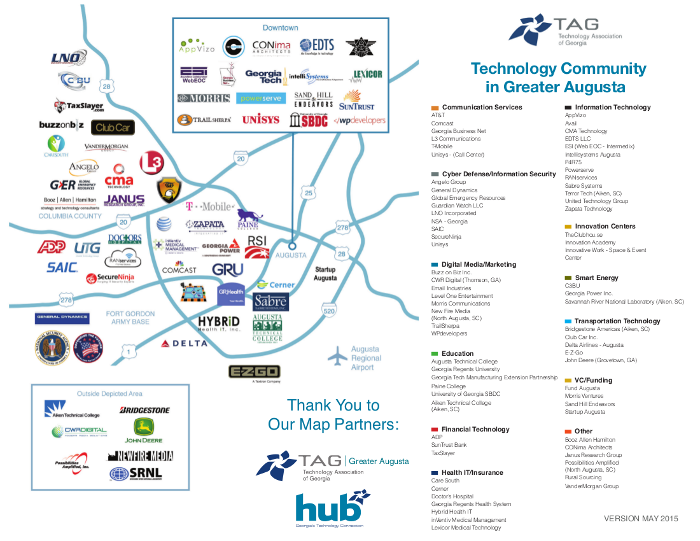 Best known for hosting The Masters golf tournament each spring, The Greater Augusta Region is home to a large variety of technology and “tech-enabled” companies, educational institutions, government facilities and startups in industries such as CyberSecurity/CyberDefense, Health IT, Software Development, Transportation Technology, Energy and more. The region has the 2nd highest growth in technology in the state of Georgia.